Everything you need to change your Holley model 2300, 4150 and 4160 carbs (with choke hardware mounting bosses on the side of the main body) to hand choke operation. 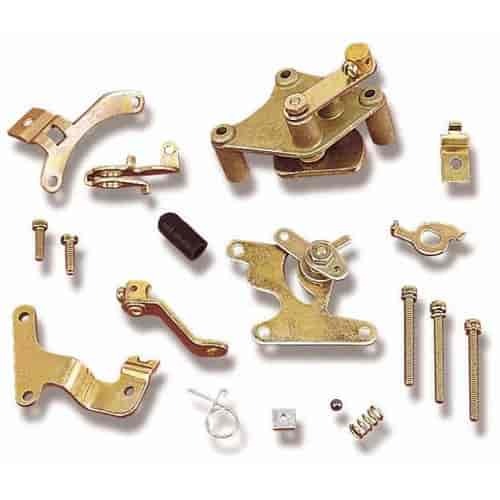 The Holley Manual Choke Conversion Kits include all the parts necessary for a fast, easy manual choke conversion or replacement on any Holley 2300, 4150 or 4160-series carburetor with mounting bosses on side of main body. Hand choke cable and bracket sold seperately. 45-225 is rated 5.0 out of 5 by 1.